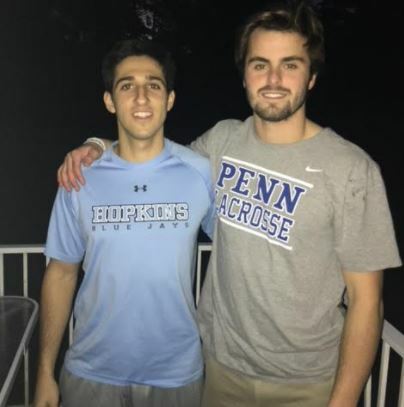 The Duke’s Lacrosse Club has announced that program graduates Brett Baskin (La Salle, Johns Hopkins) and Anthony Giuliani (La Salle, Penn) have each been awarded $250 in book scholarship money in the name of the late Ricky Whelan. Whelan, a popular Duke’s player who starred at Brown, passed away in his sleep over 12 years ago. Whelan exemplified the quality of player and person by exhibiting drive and determination the Dukes wish to promote. Whelan played for Ashbee Lacrosse, Episcopal Academy and Brown University, and was an was an Honor student and standout player at Brown where he was voted the team’s Unsung Player as a senior. The Dukes continue to honor Whelan by naming their development clinics after him. These clinics are offered each Fall for current Dukes players or those aspiring to play for the club. Baskin, a US Lacrosse All-American and the Catholic League MVP in 2017 at La Salle, helped lead the Explorers to the Catholic League and District 12 championships as well as a berth in the state quarterfinals. He had 62 goals and 30 assists and also was All-EPLCA and All-Catholic First Team. Giuliani also was a a US Lacrosse All-American, All-EPLCA and First Team All-Catholic League honoree for the Explorers. 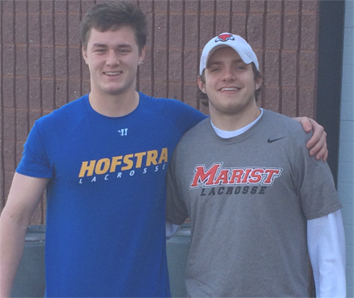 The Duke’s Lacrosse Club has announced that program graduates Conor Gaffney (Lenape-NJ, Lehigh) and Erik DiGirolamo (Parkland, Lehigh) have each been awarded $250 in book scholarship money in the name of the late Ricky Whelan. Gaffney was a US Lacrosse All-American at Lenape in 2016 and helped lead Indians to the SJ Group 4 finals by winning more than 80 percent of his face-offs. Impressive in the classroom, he posted a 6.0 weighted GPA (4.0 unweighted) at Lenape and finished tied for first in his class, was the Senior Male Outstanding, and Student-Athlete of the Year. As a freshman at Lehigh he was a standout, finishing eighth nationally in faceoff percentage (.610) and fifth in groundballs in per game (8.00), He closed the year by winning 139-of-228 draws while collecting a team-high 96 groundballs. He is majoring in Engineering. As a senior at Parkland, DiGirolamo was first team All-Eastern PA Conference, first team Morning Call All-Area and the Defensive MVP for Parkland. He also was a captain of the Dukes Lacrosse Club team. He was a member of the National Honor Society and Spanish Honor. He was a member of the Principal’s List freshman through senior year for a 4.0 GPA or higher, taking AP, Honors and GHP courses. He was on the Eastern PA Conference Student Athletic Character Council and was the 2016 Eastern Pennsylvania Conference Scholar-Athlete for lacrosse. He also was named Boys First Place for the Pansini Law Group Scholar-Athlete Honor Roll Award for the 2015 season by Phillylacrosse.com. At Lehigh he finished his freshman year with two goals on two shots, an assist, 11 groundballs and two caused turnover in 13 games, with four starts, seeing time at both close defense and long-stick midfield. The Duke’s Lacrosse Club has announced that recent graduates Dustin Buchanan (Central Bucks East/St. Joseph’s) and Matt Petrick (Kennett HS/Drexel) have each been awarded $500 in book scholarship money in the name of the late Ricky Whelan. Whelan, a popular Duke’s player who starred at Brown, passed away in his sleep nine years ago. Buchanan was a US Lacrosse All-American, a Second Team All-Phillylacrossse.com pick and the Suburban One Continental Conference Most Valuable Player in 2015, He led the Patriots to a two-year record of 36-10 in his junior and senior seasons. In 2015 he posted 101 ground balls, 71 caused turnovers, five goals, and four assists. He earned high honors at CB East and is majoring in sports marketing. Petrick was a First Team All-Ches-Mont League pick as a senior and a Second Team pick as a sophomore and a junior. He was an Honor Roll student throughout high school and a Roselle Cup recipient for excellence in the classroom and sports. He also was a Jena Slater and John Manfredi scholarship recipient. The Duke’s Lacrosse Club has announced that recent graduates Tyler Butler (Central Bucks East) and Mikey Zadroga (Upper Merion) have each been awarded $500 in book scholarship money in the name of the late Ricky Whelan. Whelan, a popular Duke’s player who starred at Brown, passed away in his sleep eight years ago. Butler, a four-time Duke’s L.C. captain, was a First-Team All-Continental Conference pick in 2014 and helped Central Bucks East win the conference title and reach the District 1 quarterfinals. He is a freshman defenseman at Penn State and amassed 181 ground balls, 91 caused turnovers, five goals and an assist in high school. Zadroga, also a Second Team All-Phillylacrosse.com pick, is a freshman midfielder at Marquette University who tallied 143 career goals and was a First-Team Suburban One American Conference pick from 2012-2014. 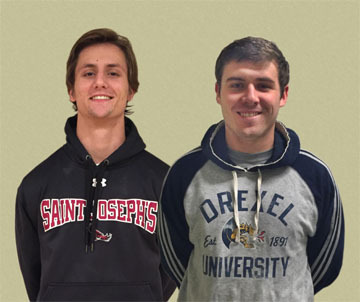 The Duke’s Lacrosse Club has announced that recent graduates Jimmy Murphy (Hatboro-Horsham) and Trevor Kupecky (Upper Merion) have each been awarded $500 in book scholarship money in the name of the late Ricky Whelan. Whelan, a popular Duke’s player who starred at Brown, passed away in his sleep seven years ago. Whelan exemplified the quality of player and person by exhibiting drive and determination the Dukes wish to promote. 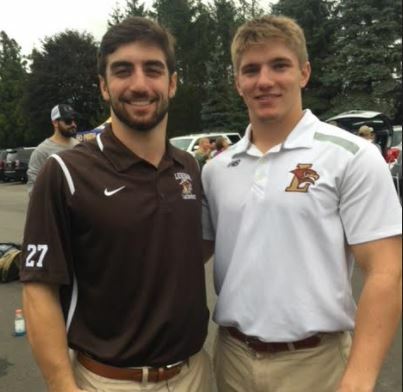 Whelan, who played for Ashbee Lacrosse, Episcopal Academy and Brown University, was an Honor student and standout player at Brown where he was voted the team’s Unsung Player as a senior. Murphy, an All-EPSLA, Suburban One Liberty and Second Team Phillylacrosse.com selection, is a freshman midfielder at Marist College. 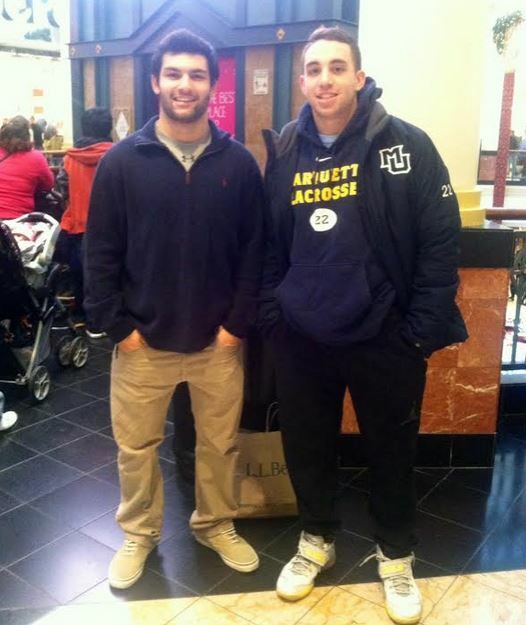 Kupecky, also a Second Team All-Phillylacrosse.com pick, is a freshman attackman at Hofstra University. 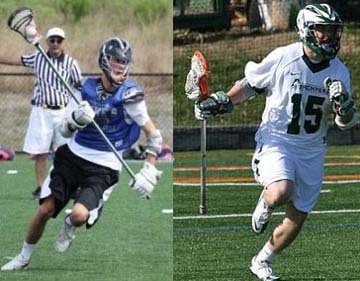 The Duke’s Lacrosse Club has announced that recent graduates Chris Panichelli (Bishop Shanahan) and Bryan Garrahan (Archmere Academy, DE) have been awarded $500 in scholarship money in the name of the late Ricky Whelan. Panichelli, an All-EPSLA, Ches-Mont League pick and Phillylacrosse.com High Honorable mention selection, is a freshman defenseman at Drexel University. Garrahan, an All-State and All-Phillylacrosse.com Northern Delaware pick, is a freshman midfielder at St. Joseph’s University.